If you haven't updated your spell arsenal recently, today's offer is a great opportunity for you. 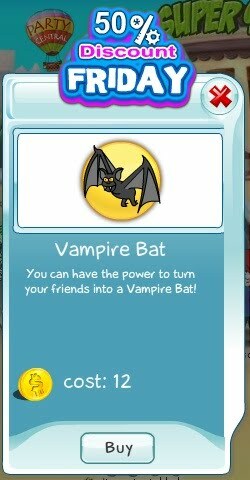 Get the Vampire Bat Spell at 50% off the regular price. The good part is that you can stock up now and use it whenever you need it. This offer is valid today only, so act quickly!